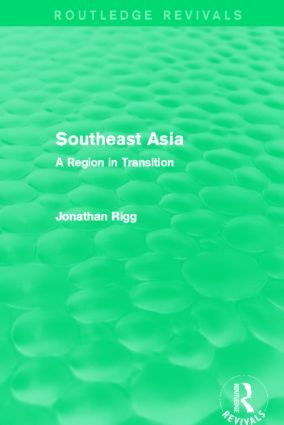 Southeast Asia: A Region in Transition, first published in 1991, is a contemporary human geography of the ‘market’ economies of the region usually defined by membership of the Association of Southeast Asian Nations (ASEAN). Organized thematically, the chapters deal with the environment and development, plural societies, agrarian change and urbanization. This thematic approach provides a comprehensive picture of the ASEAN countries and gives a depth of coverage often lacking in other regional geographies. With a detailed introduction dealing with the physical environment and history of the region, this work will be of great value to students studying the human geography of Southeast Asia, as well as those with a more general interest in the issues and developments affecting the ASEAN region.